NASA's scientists are grappling with a profound question – if we were ever to find alien life in the universe, how would we know? Whatever's out there might be really strange, unrecognizable. When a robotic probe finally lands on a water world like Jupiter's moon Europa, what do scientists have to see to definitively say whether the place has any life? 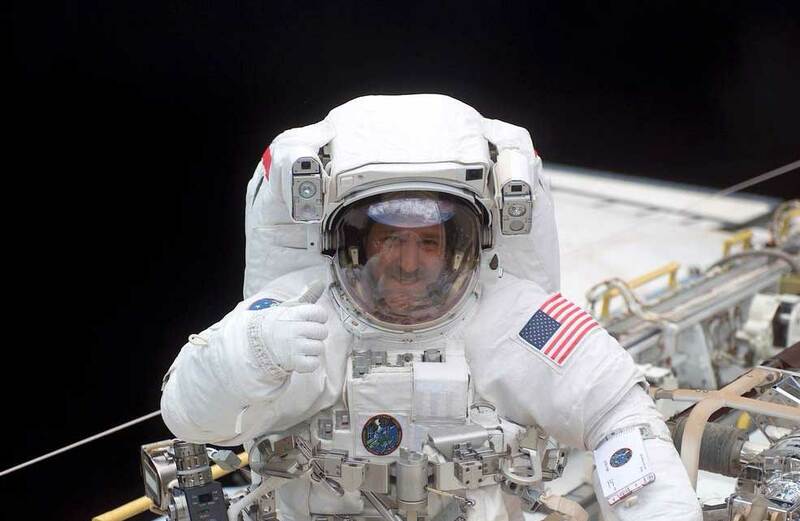 That's the question retired astronaut John Grunsfeld (shown in 2002 in the space shuttle Columbia's cargo bay below) posed to some colleagues at NASA when he was in charge of the agency's science missions. "We looked at him with blank faces," recalled Jim Green, head of NASA's planetary sciences division. "What do we need to build to really find life? What are the instruments, what are the techniques, what are the things that we should be looking for?" Finding life means first defining life, and Green says the key features are that it must metabolize, reproduce and evolve. To get advice, NASA recently asked the prestigious National Academies of Sciences, Engineering, and Medicine to gather some of the top experts in astrobiology for a meeting that was held in early December 2016 to explore the current status of activities to detect extraterrestrial life in the solar system and extrasolar planetary systems. NPRs Nell Greenfield Boyce attended the event and reported the results her interviews via NPR's Two-Way audio and text found below. LISTEN HERE: If You're Looking For Alien Life, How Will You Know If You've Found it? There's a growing interest in biosignatures — or substances that provide evidence of life — because NASA has upcoming missions that have real potential to search for them. Those include a visit to Europa in the 2020s and the 2018 launch of the James Webb Space Telescope, which could scan the atmospheres of planets around other stars. What NASA wants to avoid at all costs is a repeat of the experience with the Viking missions back in the 1970s, when analysis of Martian soil chemistry produced what was initially interpreted as evidence of life — but then later deemed a false-positive, and is still hotly debated to this day. 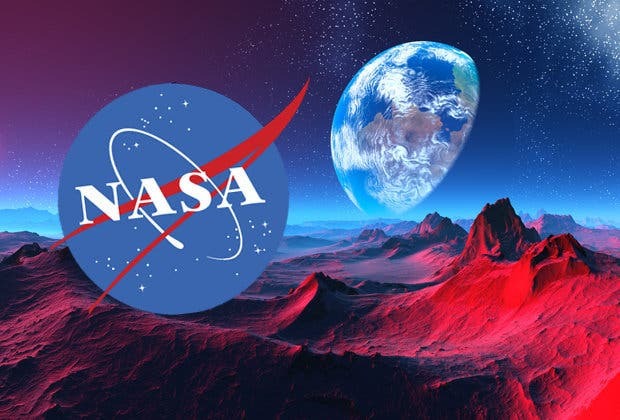 "I remember the aftermath of that," says James Kasting, a professor of geosciences at Penn State University, "NASA was criticized heavily for looking for life before they had investigated the planet and for not having thought that through carefully. They're hoping to avoid that same experience." In our own solar system, scientists ponder what kind of extant or extinct life might be found on Mars, icy moons such as Europa or Enceladus, or the strange methane lakes of Titan. If scientists found DNA or RNA, obviously, that would be like finding a smoking gun, a second genesis assuming it wasn't a contaminant. But the alien life probably wouldn't have exactly the same kind of genetic material. In fact, its chemistry might be unrecognizable. "If I start just doing the usual things to look for life that are successful for looking for life that we know on Earth, there's no reason to believe that it will be successful in identifying life that has even a mildly different biochemistry," says Steve Benner, with the Foundation for Applied Molecular Evolution. "It's a rather esoteric thing, but we're going to be looking for long, stringy molecules that have repeated, regularly spaced, backbone charges," Benner says. "As a field geologist, I have this strong bias that it's going to take people like me, on the surface of Mars, cracking open a lot of rocks, looking for those fossil signatures of early Mars life," says Ellen Stofan, NASA's recently retired chief scientist, noting that NASA has a goal of getting humans to Mars in the 2030's. "Because it's not enough just to say, 'Ah-ha, we've got one molecule that we think is biological,' you need lots of molecules, you need lots of fossil samples, to really understand what are the implications of life beyond Earth."